Jingle bell rock my friends! It's August 25th and it's 4 months to Christmas! Exciting news: I've designed a collection of custom holiday cards for you! If you guys like this idea and I get lots of orders, I'll rinse and repeat next year with a whole new set of designs! If this idea totally flops, I'll try again next year anyway until everyone realizes how awesome it is - haha! This year's collection is inspired by clean white backgrounds, hand-drawn lines & fonts, and little red hearts. Good grief... could there possibly be a less attractive screen shot of me? Our 2014 Holiday Card Collection! 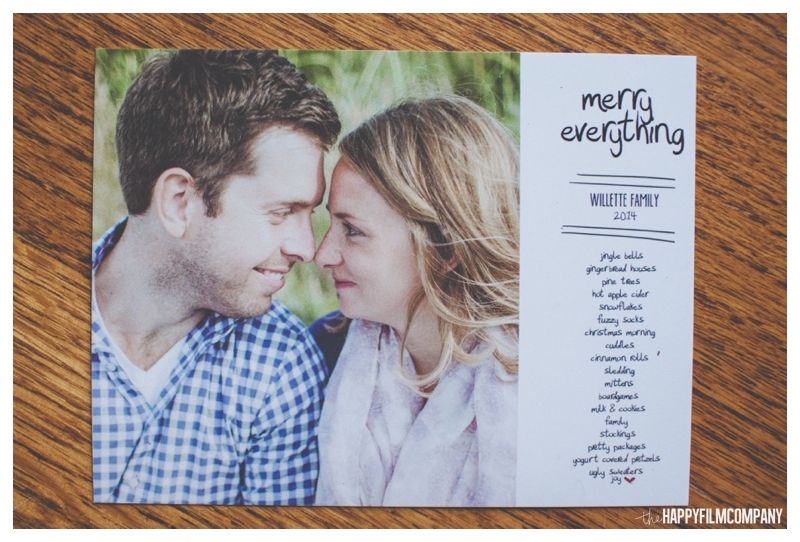 We've have 10 beautiful holiday card designs! These designs are exclusively available to our wonderful clients. Order your custom holiday cards directly from your online gallery using pictures from your photo shoot with the Happy Film Company! - 10 Designs to Choose From!!! - The backs of the cards will be left blank white unless you send us a personal message that we will print on the back of your cards. - You can add pretty envelopes to your order! Yay! This year, our envelopes are white with gold foil lining. - We can print your return address onto the envelopes to save you time! - Minimum order of 25 cards. 1. Visit your online gallery. 2. Go to the "2014 Holiday Card Designs" Album. 4. Go to your "Photos" Album. Find the photos you want us to print on your holiday card and add them to your cart. (In the pop-up shopping window, under the "Holiday Cards" tab, increase the quantity of "Put this Photo on My Holiday Card" to '1'. If you select a holiday card design that has multiple photos, you will repeat this process with every photo you want us to put on the card. 5. After entering your billing information, click "Add a Note" to give us your A) Return Address B) Personalize Message and/or C) directions on how to arrange your photos on the card. Need photos for your 2014 Holiday Card? Click here to see our Special Holiday Family Photography Package & BOOK YOUR SHOOT! *Check out our last blog post: A Day in the Life of the Ashbach Family!